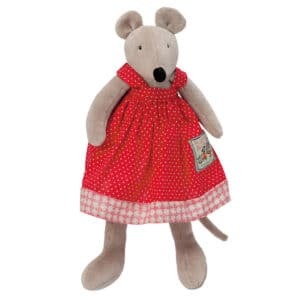 Tiny Nini the mouse is dressed in a red cotton pinafore with fine white polkadots and a floral hem border. 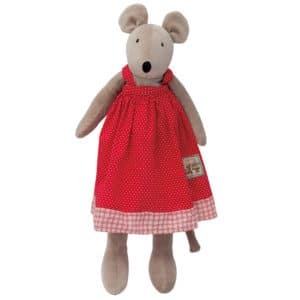 Her clothing is removable – the pinafore is fastened with a bow – so she can be dressed and undressed. 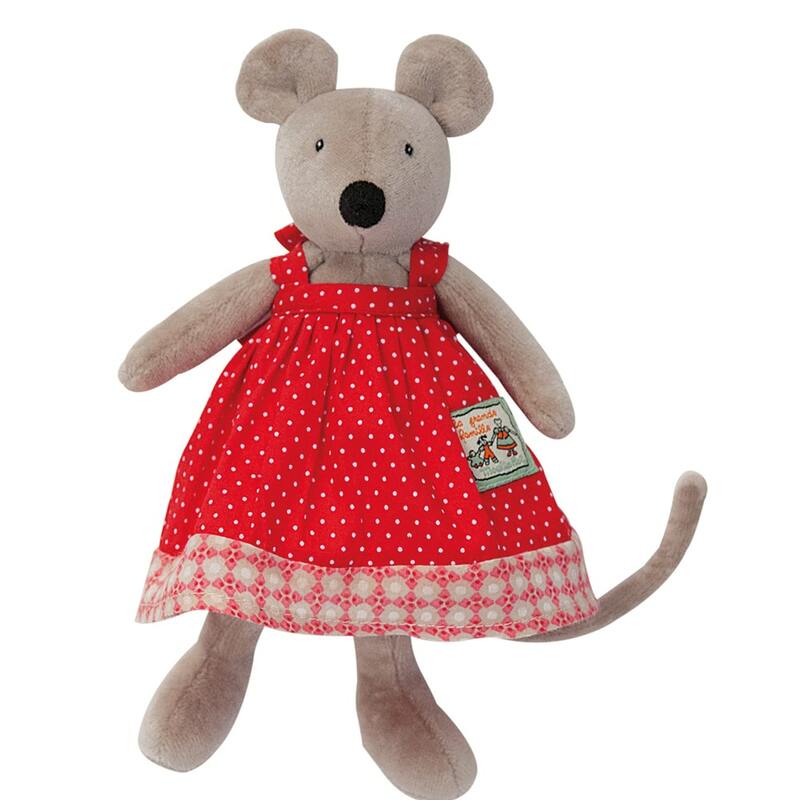 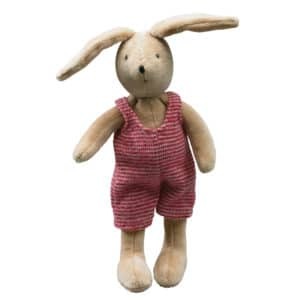 Nini’s 20 cm size makes her perfect for a small child to hold – an ideal companion. 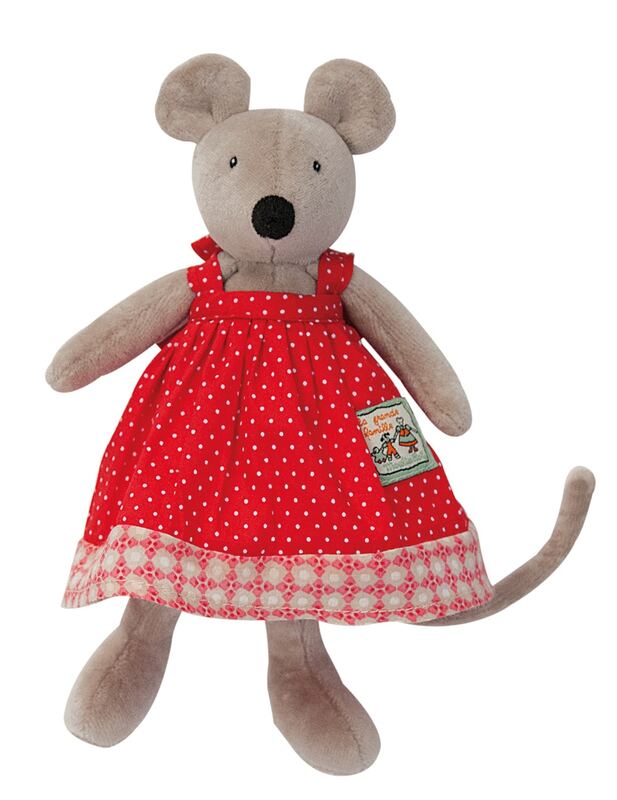 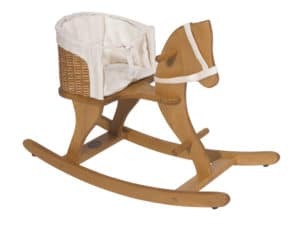 Nini is one of the 14 characters in the ‘La Grande Famille’ range. 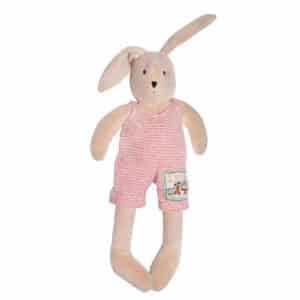 As with all of the members of this personable family, Nini is made from super soft velour and her facial features are appliqued, providing added safety. 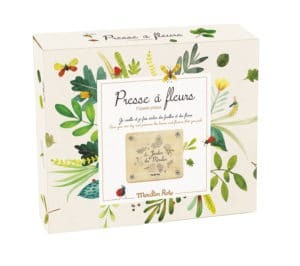 Fabrics are sourced from France and Europe.